So, when it's time to re-brand your hotel and restaurant business why settle for just a simple logo re-design? 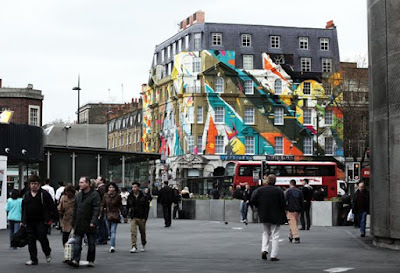 The company who own the Karpo and the Megaro Hotel have turned their building into London's largest mural. Turning their building into a re-branding statement which stands out against the traditional neutral coloured buildings. 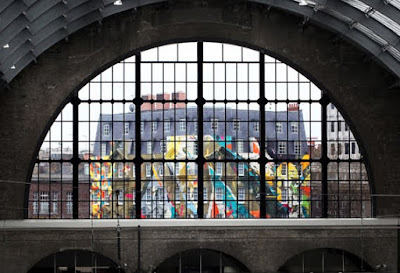 The mural was designed and painted by four members of street art collective, Agents of Change. You can definitely spot this brand a mile away!